Few things are more painful than the loss of someone dear to you. Whether the loss is a child, parent, brother, sister, relative, or friend, it can seem unbearable. You may ask yourself, “How could this happen?” It is possible that the wrongful acts of another caused this death. If this is so, you may have grounds to pursue a wrongful death suit and will need to contact an Orange County wrongful death attorney. Let’s take a look at what requirements are needed to establish whether a wrongful death suit can be pursued. A wrongful death suit is a claim against a person or group, in a common law jurisdiction, who can be held responsible for a death. A close relative or head of estate usually files the claim. Wrongful death lawsuits are different from personal injury, as they cannot be brought on by the deceased. You must prove that someone’s negligence, recklessness, or deliberate act caused the death of the loved one. There must be measurable damages to the family member bringing the suit due to the loved one’s death. If your situation meets two items above, you may recover compensation. The Orange County wrongful death attorneys at Russell & Lazarus APC can help you obtain the compensation you deserve. 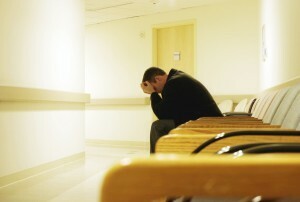 Wrongful death lawsuits are an extension of personal injury law. Many of the rules that apply to personal injury cases still apply to wrongful death. The major difference is that the injured party cannot bring a lawsuit against the at-fault party. In California, wrongful death statutes are found in California Code of Civil Procedure 377.60. The skilled wrongful death attorneys at Russell & Lazarus understand that your family only has one chance to recover damages for the loss of your loved one. We will ensure that your family gets the best representation available. Each state has different statutes governing who can file a wrongful death lawsuit on behalf of a deceased individual. The point is not really to file the lawsuit on behalf of this individual but to recover damages that you have personally received with the deceased no longer in your life. Family members can include parents, spouses, siblings, and even grandchildren. When the deceased has no surviving relatives, anyone who is entitled to property under the law of intestate succession may sue on behalf of the deceased. In addition, the deceased’s estate can sue an at-fault party to recover likely earnings your loved one would have made had their lives not come to an end. This is a different kind of action covered by California Code of Civil Procedure 377.30. This kind of a lawsuit is often filed in tandem with a wrongful death action. A skilled wrongful death attorney can help you and your loved ones recover damages for both your personal suffering and the loss of money that your loved one was likely to earn had it not been for the negligence of an at-fault party. Expenses due to the care, hospitalization, or medical treatment of the deceased loved one. Sorrow, mental anguish, and loss of the companionship the loved one provided. Future income the loved one would have provided. Loss of benefits the loved one provided, e.g. health benefits, 401k, and pension. Property damages resulting from the accident that led to the death of the loved one. Pain and suffering caused by the loss of the loved one. An individual who has a peripheral relationship with the deceased may be successful in suing for their stake in the deceased’s estate or lost wealth that would have been there had the deceased survived. The skilled wrongful death attorneys at Russell & Lazarus will help you navigate the process of litigating on behalf of your loved one. 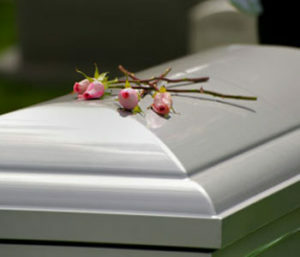 A wrongful death attorney can help you through the process of filing a wrongful death claim. The last thing you need to do while you’re still in mourning is to engage with a party you deem responsible for your loved one’s death. It is, however, important to bear in mind that like all personal injury lawsuits, you only have two years after your loved one’s death to file a lawsuit against the at-fault party. Afterward, the statute of limitations runs out and the court will not hear your case. For that reason, your best bet is to file the lawsuit as soon as possible. Then you can let your wrongful death attorney handle the case. Wrongful death lawsuits, in many ways, are no different than personal injury lawsuits. In that regard, the case is made the same way that it would be if your loved one had suffered a serious injury. Of course, the standard of proof in different kinds of personal injury cases differs from case to case. For instance, medical malpractice that results in a preventable death would be governed by statutes related to medical practice. In California, dog bite and product liability lawsuits are governed by strict liability. Strict liability cases are the easiest to litigate because the plaintiff does not need to show that the defendant behaved negligently. The plaintiff in strict liability cases needs only to show that an injury occurred as a result of a defective product or an animal attack. In these cases, the company that manufactured a product or a dog owner would be liable regardless of whether or not they were negligent. To successfully litigate these cases, your wrongful death attorney must show that the defendant owed a duty of care to your loved one, breached that duty of care, and that this breach resulted in your loved one’s death. One major difference between personal injury lawsuits and wrongful death lawsuits is that in California, a plaintiff cannot pursue punitive damages in a wrongful death lawsuit. However, the skilled wrongful death attorneys at Russell & Lazarus APC will help you recover the full extent of your damages against the at-fault party. The person who caused your loved one’s death should be responsible for his or her actions. Losing a loved one is devastating on many levels — emotionally, financially, relationally, and more. When choosing a wrongful death attorney, we encourage you to seek representation from someone who understands the uniqueness of each case and can cater to that. The California wrongful death attorneys at Russell & Lazarus APC understand that no two cases can be treated the same way, and it shows. At Russell & Lazarus, we understand that losing a loved one causes hardship and pain. We aim to treat each client with compassion and understanding, while aggressively seeking the compensation you deserve due to your loss. Contact the personal injury law offices of Russell & Lazarus APC for an Orange County wrongful death attorney who will fight for the compensation you deserve. We will handle your case with the knowledge, experience, and dedication it takes to win. Call (888) 249-4291 today to schedule your free case evaluation. Russell & Lazarus APC proudly serves all of Orange County areas including Newport Beach, Anaheim, Huntington Beach, Irvine, Mission Viejo, and surrounding areas.